The National Electoral Commission (CEN), in its last report of the day, described the Constitutional referendum process as positive, recognizing the people’s broad participation. Participation was massive, said Alina Balseiro Gutiérrez, CEN president, reporting that as of 5:00 pm, 7,524,318 citizens had voted, representing 81.53% of the electorate. This figure is 3% higher that the voter turnout recorded in the second round of the last general elections in March of 2018. A considerable number of voters were registered during the day including some 200,000 exceptional cases. At the beginning of the day, registries nationwide included 8,669,714 eligible voters. A total of 24,297 polling stations were opened in 12,513 constituencies, plus 198 special stations, with more than 400,000 persons involved in the process, including electoral authorities, supervisors, collaborators, students, and groups in charge of the tally at different levels. Díaz-Canel: This is the Constitution we will leave our children and grandchildren, emphasizing the role of youth in the all the country’s current efforts. This Constitution dignifies and upholds the legacy of Fidel and Marti, and of Raul, and strengthens rights." Díaz-Canel: This February 24 is day that reaffirms continuity. With a stronger Constitution that dignifies our country, an advanced Constitution. Today is a reaffirmation of our socialist nature. Tweet from Radio Rebelde: our President standing in line to exercise his right to vote. First Vice President Salvador Valdés Mesa voted for the homeland, the first to do so at polling station No.1, Constituency No. 59 in the Havana municipality of Playa. He emphasized his conviction that the people in their vast majority would approve the new Constitution. The first voter to cast a ballot, in the Havana municipality of Cotorro, at polling station No.2, Zone No.3 in the Santa Maria del Rosario neighborhood, was Ana Ivis Estenvez Guerra. Because it is the Constitution we Cuban men and women made together. Because it guarantees the rights of every one of the nation’s citizens. Because it upholds the dignity of our people. Because it is anti-imperialist. Polling stations closed as scheduled at 6:00 p.m. this Sunday, following the Referendum on the new Constitution of the Republic of Cuba. The vote count immediately began, a process that is open to the public to observe, with results due to be announced shortly. A total of 6,772,619 voters had cast their ballot by 2:00 p.m., representing 74.09% of the electoral register, reported María Esther Bacallao, secretary of the National Electoral Commission, speaking to Cuban Television. The official noted that there has been a constant flow of voters at polling stations throughout the day, eager to exercise their constitutional right, which she considered very positive. She highlighted the support of different institutions and organizations on this historic date, which also marks the 124th anniversary of the resumption of Cuba’s independence struggles. She also pointed out that this is the result of an organized electoral process, including the installation of 198 special polling stations to facilitate voting. Esther also noted that no incidents have been reported on this election day, which has seen a greater mobilization of voters than the last elections held on the island. 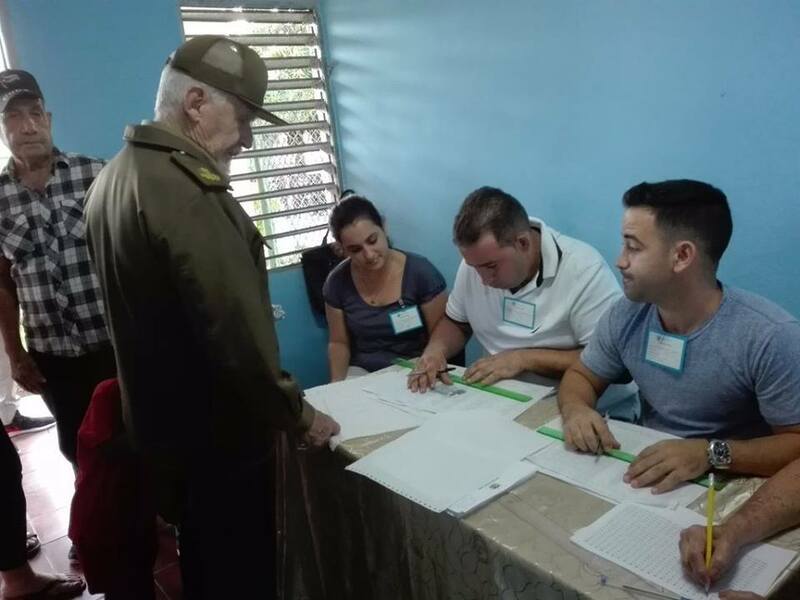 On the morning of this Sunday, February 24, the First Secretary of the Communist Party Central Committee, Army General Raúl Castro Ruz, exercised his right to vote in a polling station of the Havana municipality of Playa, to endorse the new Constitution of the Republic of Cuba. After depositing his ballot, Raúl exchanged with the pioneers who guard the ballot boxes, and with members of the polling station staff. CAMAGÜEY. – “Why did I vote? Well for my Cuba and for my own future,” answered Adriana Mugueria Oviedo, from Matanzas, with the same speed with which she usually covers the 100 meters in any of the athletics tracks in the country. Today she took a break from training, along with other top athletes, to participate in the constitutional referendum. “With their attendance at one of the polling stations near the sports village, these youth have just had a unique experience in the exercise of their main citizenship duties,” stated Yipsi Moreno Gonzalez, national athletics commissioner. “Since the beginning of the process of collective construction of the Magna Carta, I felt that I was living a momentous moment for my country and I assumed it with total responsibility,” commented the member of the Council of State of the Republic of Cuba. Meanwhile, two-time Olympic champion Alberto Juantorena Danger did not hesitate to reiterate that this Sunday’s vote represents a new triumph for the people of Cuba and, as part of this, the sports family will never fail the Revolution. The two-time Olympic champion Alberto Juantorena Danger did not hesitate, in turn, to ratify that the Sunday vote will be a new triumph for the people of Cuba and, as part of this, the family of sport that will never fail the Revolution. CAMAGÜEY. 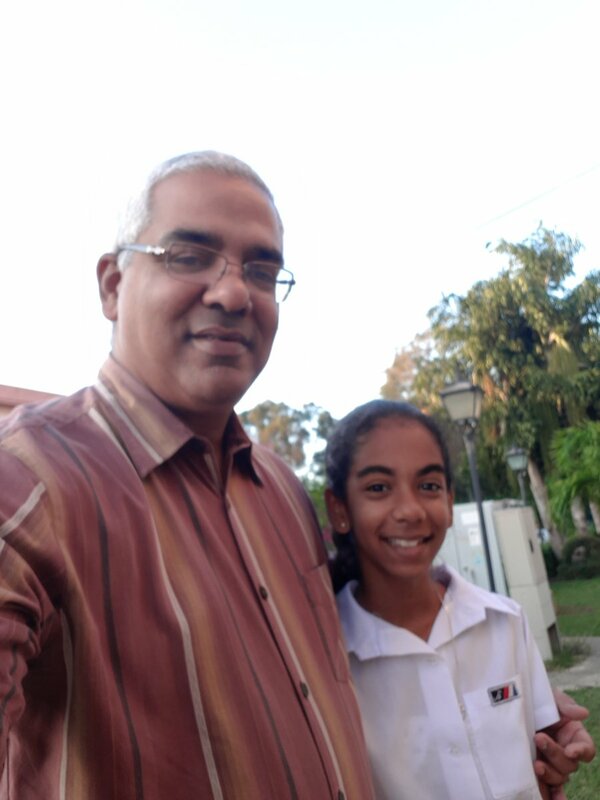 - Although they had planned to travel this Sunday, February 24, Telma Idearte Allen and her family didn’t miss the opportunity to exercise their right to vote very early in the morning. Idearte, a Physical Planning Directorate worker, was confident that she would have no problem voting despite her travel plans, as she knew that in terminals, hospitals and other important sites producing goods or providing services, special polling stations are set up to guarantee that no matter where a citizen finds themselves, they can vote. Just a few minutes before boarding a bus, she and the rest of the passengers and drivers, cast their ballots in this constitutional referendum in the Special Polling Station Number 7 of the Camagüey Interprovincial Bus Terminal. Various voters questioned by Granma agreed on the importance of these special polling stations, allowing them to vote before setting off on their journeys, without the risk of losing out on this right before they reach their final destinations. “I can travel calmly, because with my vote I could give my full consent to the new Constitution that, together, we helped to conform with our opinions and contributions,” stated Rodolfo Peñalver González, about to travel to Havana. Isbel Tendero de Armas, of the Provincial Electoral Commission, reported that 13 special polling stations were established in Camagüey, located in the northern keys, where a construction contingent is currently working, as well as in hospitals, terminals and other vital production and services centers. President of the National Electoral Commission, Alina Balseiro, tweeted that a dignified and united people were today exercising their democratic right to vote in the Constitutional Referendum. Today, authorities in Santiago de #Cuba paid tribute to Cuban heroes and martyrs Martí, Mariana, Céspedes and #Fidel in the Santa Ifigenia patrimonial cemetery, on this historic date that marks 124 years since the beginning of Cuba's independence struggle. According to information provided by the National Electoral Commission, up until 11:00 a.m. today, February 24, a total of 5,154,904 Cubans had cast their votes, of a registered electorate of 8,669714, that is, 57.38% of the electorate. 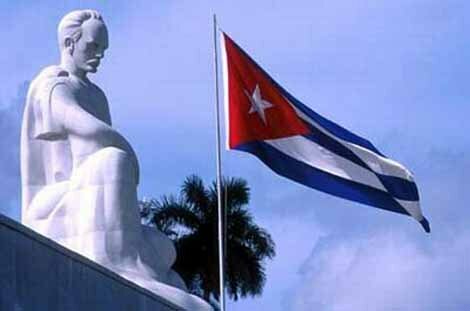 Today is a historic day for Cuba, 124 years after the resumption of the independence struggle led by José Martí, on February 24, 1895, the Cuban go to the polls to support the new Constitution of the Republic, Salvador Valdés Mesa, first vice president of the Councils of State and Ministers, noted this Sunday. “Today we go to the polls, first and foremost, to continue defending the achievements of the Cuban Revolution,” the first vice president told reporters, after being the first to exercise his right to vote at 7:00 a.m. at polling station number 1 of constituency 59, in the capital municipality of Playa. Valdés expressed his certainty that the majority of Cubans would vote yes for the new Constitution, because it is a document that has been drafted by all, through an extensive consultation process, highly unusual in any other part of the world. Support for the new Constitution will be our best tribute to the legacy of Comandante en Jefe Fidel Castro Ruz, the historic generation of the Revolution and the heroes who fought for the independence of Cuba, Valdés added. The situation that this Latin American country faces today “will only be solved by its own people. Peacefully, among themselves, they will agree the future of their country,” he concluded. 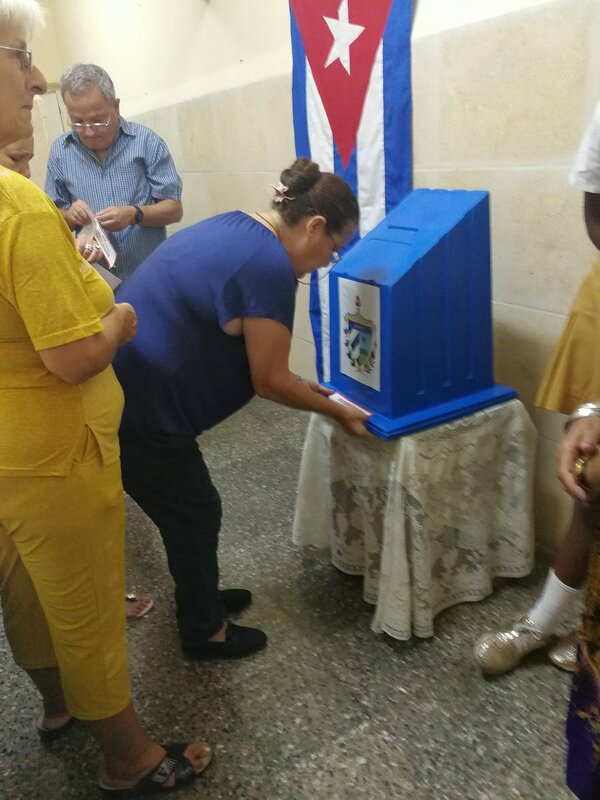 Meanwhile, Ulises Guilarte de Nacimiento, Secretary General of the Cuban Workers' Federation, also voted Yes to the new Magna Carta, in polling station number 1, circumscription 5, located in Playa municipality. “This text, drafted together, strengthens the role of Cuban workers in the economic development of the island. That is why I, and the majority of Cubans, today vote Yes,” the union leader stressed. It's the best way to defend our principles and convictions; the same that have allowed us to build Cuba among all, in the middle of a complex international context, he highlighted. “During the popular consultation process on the new Constitution, workers made their contribution to ensure that the rights of the working class, indispensable in the economic and social life of the nation, are upheld,” Guilarte added. “Thanks to the contribution of workers, endorsed today in the new Magna Carta are a wide range of rights: access to decent, dignified employment, rest, social security, paid annual holidays, benefits, among others,” he said. We are also defending independence, something Martí and Fidel bequeathed us, as well as the right of Cubans to decide their own destiny and build a prosperous nation based on the efforts of all. “This new Constitution will be our legacy to future generations,” he concluded. According to the Holguín Provincial Electoral Council, more than a third of the electorate in this territory has already voted. GUANTÁNAMO.— “Having voted in the referendum and ratified the yes for the Constitution is a source of great pride, given the importance of this moment for the people, especially the youth, for the present and future of the homeland, the Revolution,” stated Lieutenant Diosnelvis Matos Rodríguez, a young man born in Trivilín, in the mountainous municipality of Yateras, moments after exercising his right to vote in polling station number two of Special Circumscription No.32. From very early in the morning, the members of this unit formed an orderly line to be among the first to vote and immediately resume their daily security tasks, along the perimeter of the illegal U.S. naval base in Guantánamo. “This referendum will constitute a new demonstration to the world that the Cuban people remain united with their leaders, closing ranks in the interest of advancing the Revolution,” stated combatant Laura María Pérez Cuervo, from La Víbora, in Havana, who is undertaking Military Service with the Border Brigade before commencing her studies in the Higher Institute of International Relations. “I voted yes for the Constitution because it is totally Cuban, because with it we maintain sovereignty, our history of struggle, and democracy increases, despite the blockade and the growing hostility of the empire. 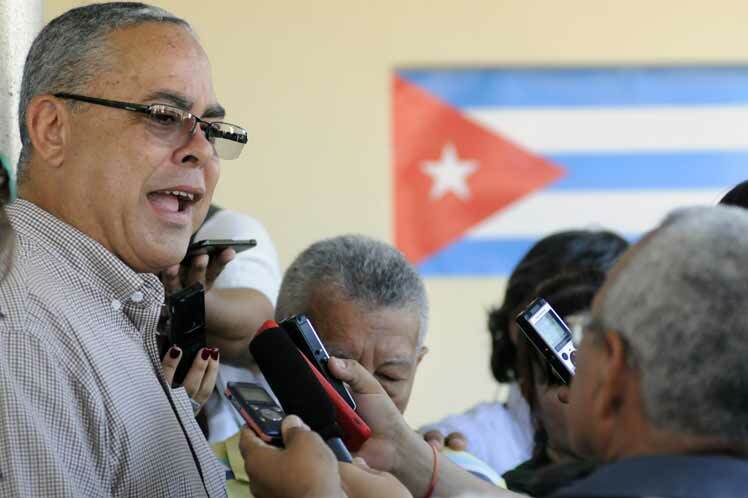 The Constitution that I have just endorsed is a new demonstration that in Cuba no important decision is taken without taking into account the people's opinion,” stressed soldier José Luis Salmon Soriano, from Santiago de Cuba. Six polling stations made up the Special Circumscriptions of the Border Brigade, in which, together with members of the Revolutionary Armed Forces that make up this exemplary unit, Ministry of the Interior forces belonging to the Coastguard Troops of the municipality of Caimanera also voted. In this province, a total of 1,244 polling stations opened early this morning, in which just over 370,000 voters were registered, including more than 2,000 young people who for the first time would exercise their right to vote. CIENFUEGOS.- From the early hours, the people of Cienfuegos have offered an energetic and enthusiastic response to the patriotic duty of going to vote for our new Magna Carta. The province has an electorate of 313,286 people, registered to vote in 759 polling stations , in 516 electoral districts. Two special polling stations have also been set up in the Gustavo Aldereguía Lima Hospital, and the Paquito González Cueto Pediatric Hospital, to allow workers and patients to exercise their democratic right. “Today is a very significant day for all Cubans. Today we are moved by a great commitment for our country, there are thousands of reasons to support this new Constitution, which defends the rights of women, children, the right to health and education, the right to exercise our professions,” Pernía Cordero, president of the Cienfuegos People's Power Assembly, told reporters just minutes after exercising her right to vote in a polling station located in Junco Sur people's council. Julio Marcial Martínez Hidalgo, a young student at the University of Cienfuegos who exercised his vote in Circumscription 21, told Granma that young people will fight to defend their Constitution; as well as each of the conquests of our social process, no matter the imperialist maneuvers to derail the Revolution. He also sent a message of support to the people of Venezuela, and called for peace. Vice President of the government and Head of the Permanent Commission for Implementation and Development of the Economic and Social Policy Guidelines, Marino Murillo, exercised his right to vote this afternoon, and in a brief exchange with Cuban Television, Murillo he noted that the new Constitution assimilates the changes that, in economic terms, are underway in our country. Murillo also addressed the different types of property recognized in the Magna Carta, and stressed that they can all exist together. “We just have to be clear that the main type of property is that of the state, of the entire people,” he emphasized. CIEGO DE ÁVILA (24/2/2019).-The Los Ángeles cafeteria, located in República Street, one of the city of Ciego de Ávila's busiest streets, which opened almost a decade ago, is known for its quality service. Owner Edelsa Morales Pérez, aged 72, this Sunday morning took advantage of a break to head for polling station No.1, in electoral district no.3, very close to her home, to cast her vote in favor of the new Constitution, the result of a nationwide popular consultation process August 13 through November 15, 2018, in which every citizen had the right to offer their opinions and proposals on the draft text. “I voted Yes for the future of my homeland, for the continuity of the ideas that Fidel imbued us with, and because the new Constitution is an accurate reflection of the times in which we live, times of unity and defense of the work that began January 1, 1959, and on the path to prosperous and sustainable socialism,” she commented on exiting the polling station. Edelsa, who for years worked in the Young Communist League headquarters in this province, and the José Martí Pioneers Organization, noted that thanks to the Revolution, she can enjoy sovereignty, equality among citizens, social achievements and, at the same time, maintain her modest business. Elián González Brotons noted that he was voting because this Constitution reflects the demands of Cuba today, working to ensure a better economic performance, to perfect its social model and putting human beings and their dignity as citizens first and foremost. Photos from polling station No.3 in constituency No.57 in the Havana municipality of Playa, where President Miguel Diaz-Canel voted earlier this morning. 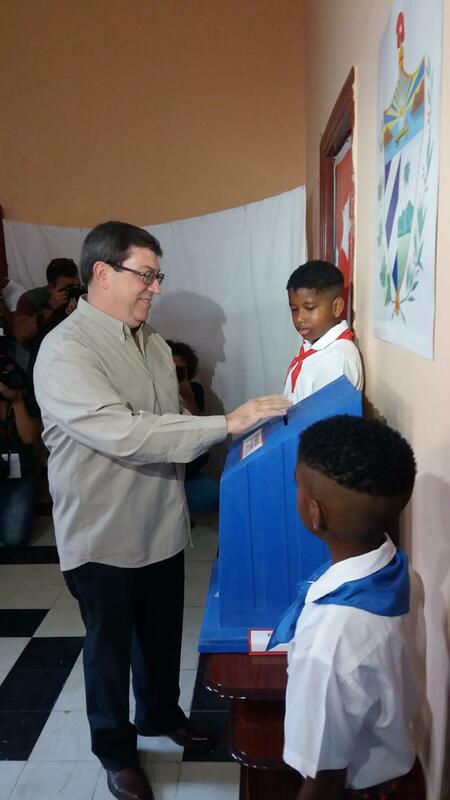 Esteban Lazo Hernández, Political Bureau member and president of the National Assembly of People’s Power voted at polling station No.2 in the municipality of Playa’s Constituency No. 10. SANCTI SPÍRITUS.-With 1,003 polling stations open since 7:00 a.m. this morning, the constitutional referendum is underway in this central province. Ernesto Sosa Martínez, president of the Provincial Electoral Commission confirmed that all the necessary logistics were functioning, including the communications system, to allow the province’s 367,869 voters to exercise their right to participate in the referendum. Among the polling stations opened are three special ones located in Camilo Cienfuegos and José Martí Hospital, as well as the interprovincial bus station, where persons who find themselves distant from their home constituency may vote. “Time goes by, Cuba has been transformed, and Fidel already: Revolution is changing everything that must be changed. The old Constitution doesn’t look like us anymore,” said Orbeín Fernández Amargó, resident of La Sierpe, who got up at dawn to express his Yes for the new Carta Magna. Reports indicate that the voter turnout is good in both urban and rural areas, including the Escambray Mountains. The National Electoral Commission reports that, as of 9:00 a.m. this morning, 2,690,419 persons had exercised their right to vote, that is 30.64% of the more than eight million eligible voters. CAMAGÜEY. — Thousands residents here began voting at the province’s 1,730 polling stations. A quick tour of the capital confirmed the massive participation. He emphasized that the document “reflects the road forward. It guarantees the future,” while noting the massive participation of the people in the constitutional reform process, and concluded by referring to the next task: adjusting laws to reflect the new Carta Magna. Today I voted Yes for the Constitution; to support the independence, sovereignty, and dignity of the nation. We are #Cuba. Viva la revolucion! “It is a much more complete Constitution, that gives our socialism continuity, as our leaders have taught us, and under the guidance and leadership of Raul,” he concluded. Susely Morfa González, Council of State member and first secretary of the Young Communists League, commented to the press this morning that youth have many reasons to vote Yes, adding, “This is aConstitution that in its essence protects youth; in several articles the development of children, adolescents, and youth is protected. President Diaz-Canel tweeted: Congratulations to Cuban telecommunications workers on our day!! Proud to celebrate with a Yes for #Cuba and our Constitution. Lied Lorain reports that Havana City Historian Eusebio Leal Spengler voted. Voting at polling station No.2 in Constituency No. 3 in Santa Maria del Rosario, a neighborhood in the Havana municipality of Cotorro. As the sun rose, people could be seen on the street and outside polls to express their opinion on the new Constitution. Julio Ramiro Lima Corzo, first Party secretary in Villa Clara, was among the first to cast his vote at polling station No. 23, at the Sports Combine in the municipality of Sagua la Grande., where he spoke with elementary school students guarding the ballot box. Speaking with the press, he said that today the people of Villa Clara would not betray Cuba, since there are innumerable reasons to defend what we have constructed over the last 60 years of Revolution, that Fidel, Raul, and the current generation giving continuity to the revolutionary process, can be sure of Villa Clara, where the remains of Che rest, the land of Abel and Haidée Santamaría, and Jesús Menéndez. 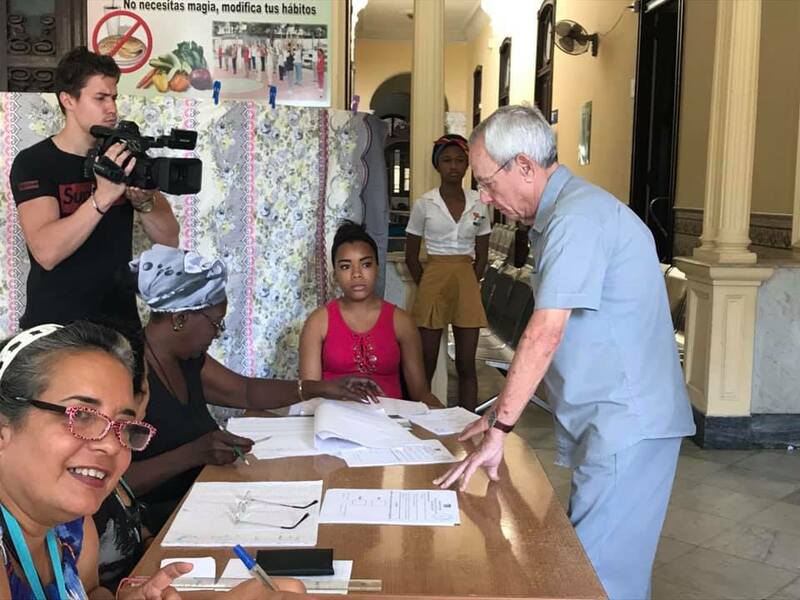 Likewise, Alberto López Díaz, president of the Provincial Assembly of People’s Power voted at a polling station located in a family doctor’s office on Céspedes Street in Santa Clara, conversing with neighbors after casting his ballot. Provincial electoral authorities reported that the vote is proceeding as planned. Alina Balseiro Gutiérrez, President of the National Electoral Commission, voting at polling station No.2 in constituency No.76 in Plaza de la Revolución municipality, stated that polls across the nation have been open since 7:00am and emphasized that eight million Cubans are expected to vote today and the 24,297 polling stations are functioning normally, with no problem. “Some 200,000 are participating as electoral authorities, in addition to other helpers and students. It’s a great success for the people,” she emphasized. Raúl Alejandro Palmero Fernández, Council of State member and president of the Federation of University Students spoke with the press in the Havana municipality where he resides, Diez de Octubre, severely damaged by the January 27 tornado, recalling that students around the country submitted thousands of opinions during the popular consultation on the new Constitution that, in several articles, emphasizes the role of youth in Cuban society.